Oceanit practices Intellectual Anarchy to blend interdisciplinary science, technology, engineering, and innovative thinking to benefit our global community. Through spin-outs, co-development partnerships, licensing, and direct manufacturing, Oceanit is able to deliver solutions to market. Oceanit calls this practice ‘Mind to Market’; delivering deep science to disruptive, real-world breakthroughs. 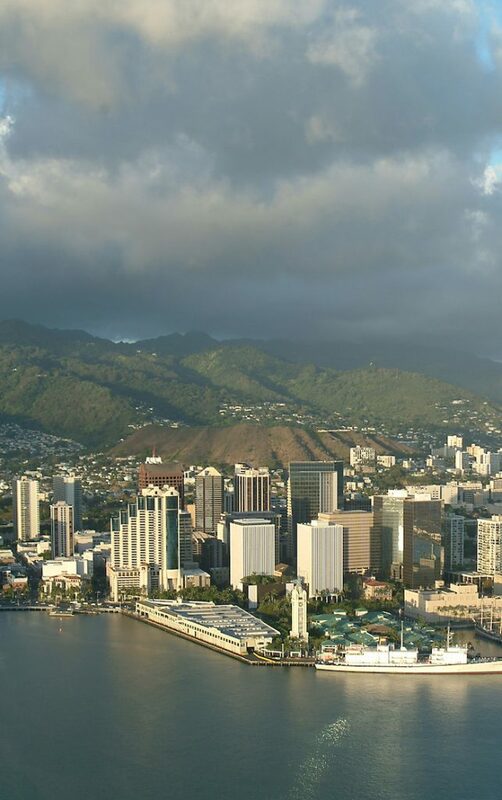 With headquarters in Honolulu, we employ over 160 scientists & engineers in Hawai’i, California, Texas, and Washington, D.C and have built our culture upon values of Ohana, Curiosity, and Community. We encourage inquisitiveness and are committed to pursuing responsible solutions to the world’s most difficult problems. Delivering on the impossible is always challenging, but we are constantly curious. There are no ‘lanes’ to stay inside – egos, diplomas and attitudes are checked at the door. We cross-pollinate so that our diverse curiosities lead us to breakthrough innovations that can then be driven from deep science to real-world applications. Our Mind to Market methodology works like this: We solve problems in many disciplines, based on “market pain.” Then, we start a user-engagement process to validate that we are delivering on what the people actually will use. As a last step, we initiate a process around delivery to market: delivering products via private equity financial spin-outs, co-development, partnerships, licensing, or direct manufacturing.